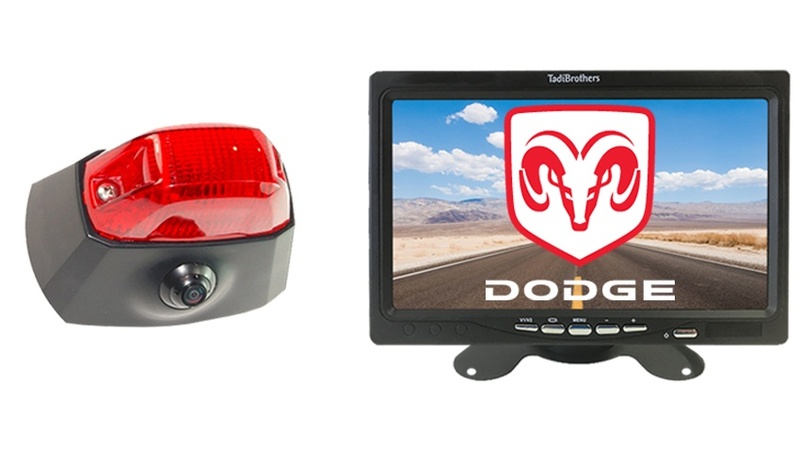 We have sold this backup system to many commercial fleets that were looking for a reliable rear view system, the systems usually pay for themselves very quickly because they managed to lower their insurance cost. Let’s also not forget how many lives are saved every year when people use back up camera systems. The Dodge Promaster Van Backup Camera has a 120° Degree viewable angle, its waterproof and has auto night vision. The camera is one and has excellent night vision clarity. The Dodge Promaster backup camera simplly replaces your middle brake light. This allows the camera to be hidden in plain sight, it looks completely stock and is a great option for anyone with a Dodge Promaster Van. This camera can take a direct hit from a rock and it will still work like new. Its has also been very poplular with Dodge Promaster Vans, because its housing allows you to install the cameras on multiple sides of your van. This system comes with a 35ft Premium cable which should cover the length of any Dodge Promaster van. If you need a longer cable we have many different lengths. Dont forget the optional power upgrade if you want to power the backup camera from the monitors power source. This item includes a 35 Foot cable, that is plenty for any Dodge Promaster van. 30 Days 100% money back guarantee. We know ourproducts are world class and we stand by them 100%. We even have a 24/7 tech team ready for any questions you have. Buy with confidence the TadiBrothers team won’t let you down.